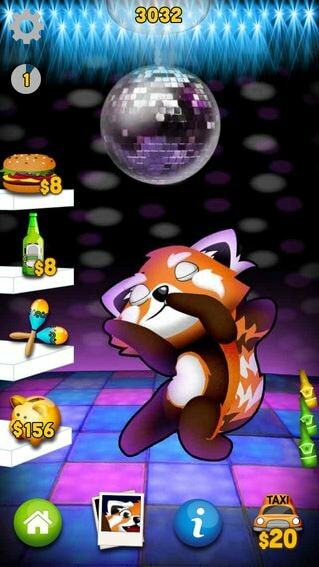 Ray’s Night Out was developed by young people and a team of psychologists, designers and app developers. Ray’s main goal is to teach you how to drink alcohol safely while having fun. Buy Ray drinks and food, make him dance and flirt and play bar trivia, collect good vibe points to unlock rewards and take selfies. But take good care of Ray, don’t let him cross his ‘stupid line’ for drinking – you know – the point where a good night out turns bad. Most of all have fun while you learn to identify your own stupid line for drinking. 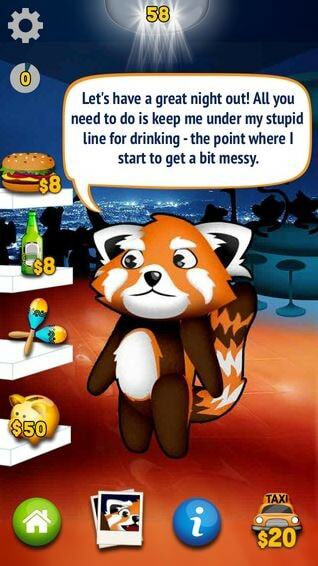 Ray's Night Out is an interactive game that allows users to explore how different decisions in a "night out" can affect how their evening goes. 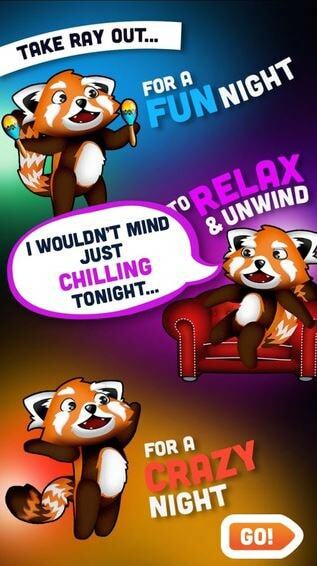 Users are in charge of making decisions with Ray the Red Panda about how much to eat, drink, what activities to do and how to look after themselves throughout the night I would recommend it to young people who are open to exploring different decisions that can improve their wellbeing. I found the tone of the game to be a little childish. I would imagine that the age range of people this could be aimed at are older teenagers. Working in a school, I can't imagine too many of the teens I see would engage with the app for an extended period of time. I would use this tool to learn about the effects of alcohol. It's a non-dangerous way to learn about alcohol. It was cute and fun while also being informative. The app was a little hard to open at first. Once I got it to work properly there wasn't any problems. I don't think it would be something that people would actively use on a night out. Like I know it's to understand and keep aware of how much you're drinking compared to how much you planned to drink, but when it comes to actually doing that I don't think people are going to actually use/remember to use the app.